Multigenerational travel comprises 27% of all leisure travel according to the 2014 TMS Family Travel Summit, and 81% of these travelers say safety is their top priority. Given that so many grandparents are planning travel with kids and grandchildren, baby proofing awareness and a safety kit are travel essentials. There was a time when many hotels stocked out-of-date or poorly maintained cribs, but the 260 independent Preferred Family Hotels cater to their tiniest guests with the latest amenities and facilities. All hotels in the collection meet Preferred Family Certification standards based on offerings for children in hotel amenities, facilities, programs, services, and entertainment. For example, Maine’s classic Inn by the Sea provides its youngest guests new cribs or cots with appropriate bedding, as well as spotless highchairs or booster chairs. Resort childcare is provided through a professional referral service, so adults can enjoy beach hikes, yoga and the spa. Members of Preferred Hotel Group’s iPrefer, a points-based loyalty program that offers benefits at many of their family hotels, can spend their $25 spa credit without worrying about who’s watching the baby. At independent hotels, budget chains, and B&Bs, you’ll have to be your own safety steward. Inspect baby furniture for loose parts, strings or buttons that baby can choke on; loose screws, broken parts and splinters. In the past decade, the distance between crib slats has been reduced — brand new but dated furniture may not be considered safe. Are relatives taking your old baby furniture out of the garage for your visit? Be extra cautious when using second-hand or aged infant equipment. It may be vintage, but chances are it won’t meet current safety standards. That classic car seat may not fit the LATCH system in new cars either. Even if used furniture looks well maintained, be sure to check the U. S. Consumer Product Safety Commission to make sure there are no brand recalls in effect. Don’t mistake plush and padded for luxury when it comes to baby’s safe sleep. Safety experts recommend avoiding baby bunting, soft pillows, fluffy comforters and the like, which are a suffocation hazard. Instead, if baby’s bedding looks too soft, use rolled up baby blankets and room towels to line cribs or playpens. 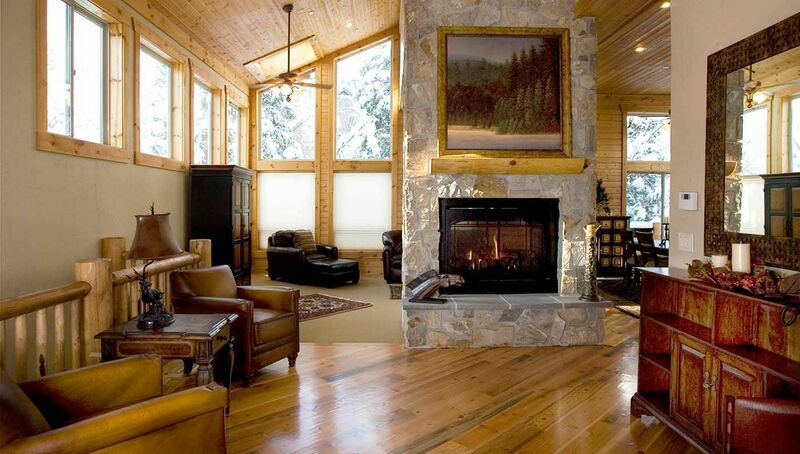 Many family resorts such as the beautiful Sundance, at the base of Mount Timpanogos in Utah, have rooms, duplex family suites and private, multi-bedroom mountain houses. You’ll need to childproof these like you would your own home. As a certified Preferred Family Hotel, you can call ahead and ask the Sundance Concierge or Housekeeping which childproofing supplies they carry and if they have stair gates for duplex units. Chances are you will need to bring your own. Check out Preferredfamily.com/iPrefer to learn more about perks like free WiFi, and early checkin / late checkout where available. At Sundance, iPrefer members may prefer free breakfast for two or a $25 spa credit from the many additional benefits. 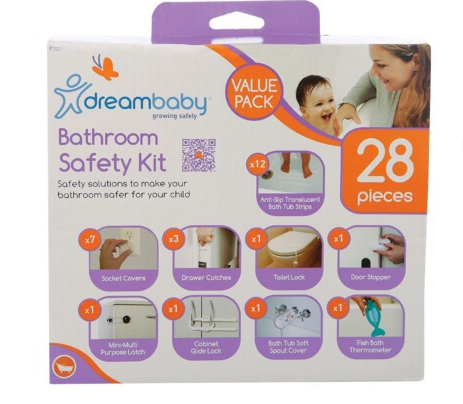 Our 10-Step Checklist and Safety Kit: Better Safe than Sorry! When we travel, we always expect the unexpected. That’s why these 10 items are on my checklist for a safe summer vacation or staycation. 1. Take your own nightlight for middle of the night stirrings. 2. Bring plastic outlet covers for the room’s work area, bathroom and any accessible outlets. 3. Remove small objects, such as pens, remote controls, toothpicks, loose change and matchbooks from all tables and counter tops. 4. Use rubber bands and masking tape to keep cabinets and minibars closed if the hotel doesn’t stock childproof latches. 5. Secure all balcony doors and lock windows shut. 6. Remove plastic bags, a hazard to children, from garbage pails. 7. Push sharp-edged furniture against a wall. If your toddler needs a coffee table for balance, tuck a bath towel around the legs. 8. Monitor water temperature when washing the kids; bring a rubber drain stop if you bathe baby in the sink. 9. Stay extra alert around swimming pools, including the stunning Preferred Hotels’ pools selected by the Travel Mamas. At least one adult must be “on duty” if any children are playing in the pool or at the beach, even if older siblings are with them. 10. When traveling abroad, have the number of a nearby, English-speaking physician in case baby needs medical attention in the middle of the night. For additional safety advice and current safe equipment standards, the U. S. Consumer Products Safety Commission publishes a handy Childproofing Your Home guide as well as the latest information on product recalls. This post about babyproofing and hotel safety was brought to you by Preferred Family Hotels. All opinions are based upon the author’s actual travel experience and knowledge.